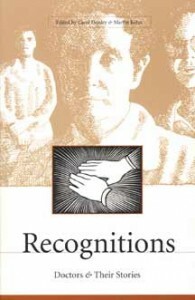 DescriptionCarol Donley & Martin Kohn believe that “physicians stand at a unique vantage point as observers of the human condition.” In Recognitions: Doctors and Their Stories, the fourth volume in the Literature and Medicine Series, contributors such as Richard Selzer, Robert Coles, Perri Klass, and Jack Coulehan prove this assertion through their moving and enlightening prose. EditorsCarol Donley is professor of English at Hiram College, Hiram, Ohio. She is the coauthor of Einstein as Myth and Muse (Cambridge University Press, 1986), and coeditor of The Tyranny of the Normal (Kent State University Press, 1996) and What’s Normal? : Narratives of Mental and Emotional Disorders (Kent State University Press, 2000). Martin Kohn is associate professor of behavior sciences at Northeastern Ohio Universities College of Medicine in Rootstown, Ohio, and codirector, with Carol Donley, of the Center for Literature, Medicine, and Health Care Professions at Hiram College, Hiram, Ohio. He is coeditor, with Carol Donley and Denise Wear of Literature and Aging: An Anthology (Kent State University Press, 1992).